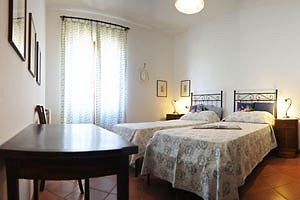 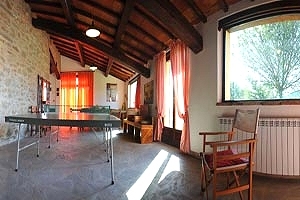 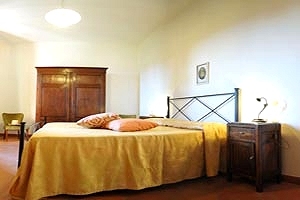 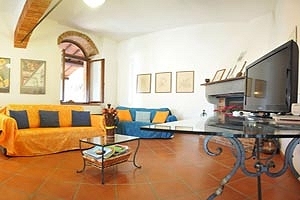 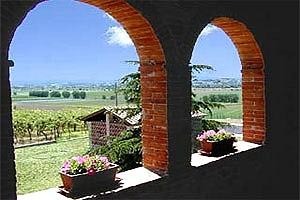 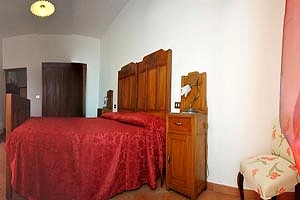 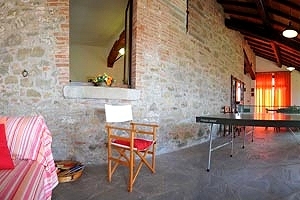 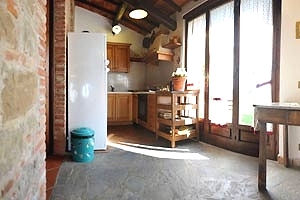 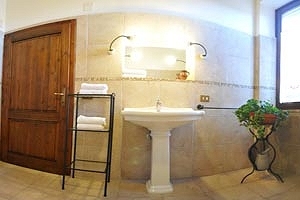 The villa (accommodation for 10/11 people) is located between Cortona and Arezzo, in one of the most picturesque places of Val di Chiana and offers a fantastic panoramic view of the surrounding countryside. 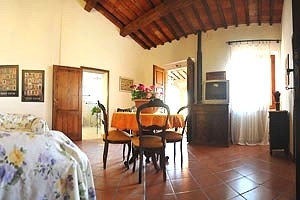 It is an ancient farmhouse recently restored. 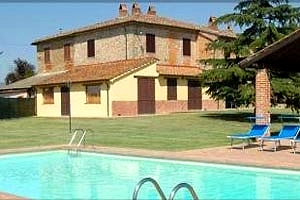 The villa has a swimming pool, a table-tennis, a barbecue, a trampoline, satellite TV and Internet connection. 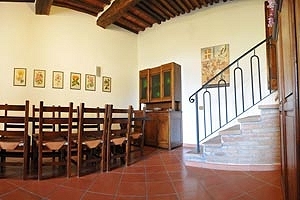 In the town of Castiglion Fiorentino (8 km) there are shops, services and the train station from which it is possible to reach important Tuscan historical and artistic centres (Cortona, Arezzo, Siena, Florence). 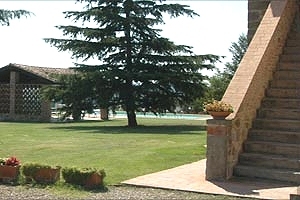 A tennis court is 6 kilometres from the villa. 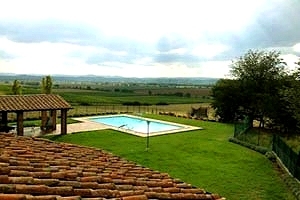 Distances: Cortona 15 km - Arezzo 23 km - Lago Trasimeno 28 km - Siena 45 km - Firenze 90 km. 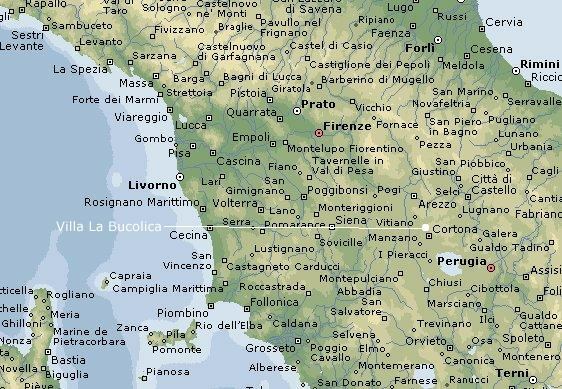 Airports: Florence 90 km - Pisa 205 km - Bologna 210 km - Rome 220 km. 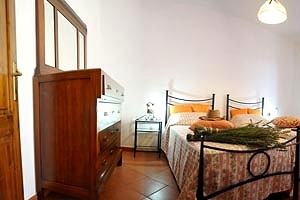 The villa (5 bedrooms + sofa bed and 3 bathrooms) is dislocated on 2 communicating floors with independent entrances. 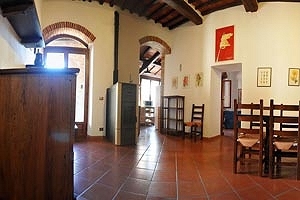 On the ground floor there are a dining room, a kitchen, a sitting room with fireplace, an arcade with panoramic view and a double bedroom and private bathroom. 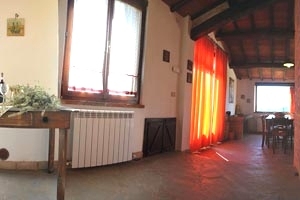 In the first floor there are a sitting room with fireplace, a double bedroom, 3 bedrooms with 2 single beds each (if requested they may become double bedrooms) and 2 bathrooms with shower.